The Collinsport Historical Society: Barnabas Collins rises from the grave TODAY! I received an e-mail from Weigel Broadcasting yesterday confirming what most of us suspected: When DARK SHADOWS begins airing as part of the new Decades channel in May, it will begin with the introduction of Barnabas Collins. Episode 210 of the series will air 6 p.m. on May 13, kicking off a DARK SHADOWS marathon of consecutive episodes ending on the morning of May 16. 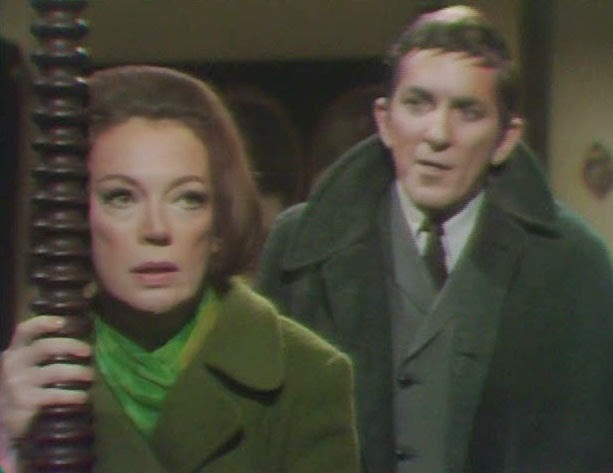 (Episode 210 is technically the first episode to feature vampire Barnabas Collins, though actor Jonathan Frid isn't seen until the following episode.) In all, Decades will air 130 episodes of the series, wrapping with #340, where Barnabas pressures Dr. Julia Hoffman to murder the increasingly nosy Dr. Woodard. It's an interesting stretch of episodes that also includes the series' transition from black and white into color. 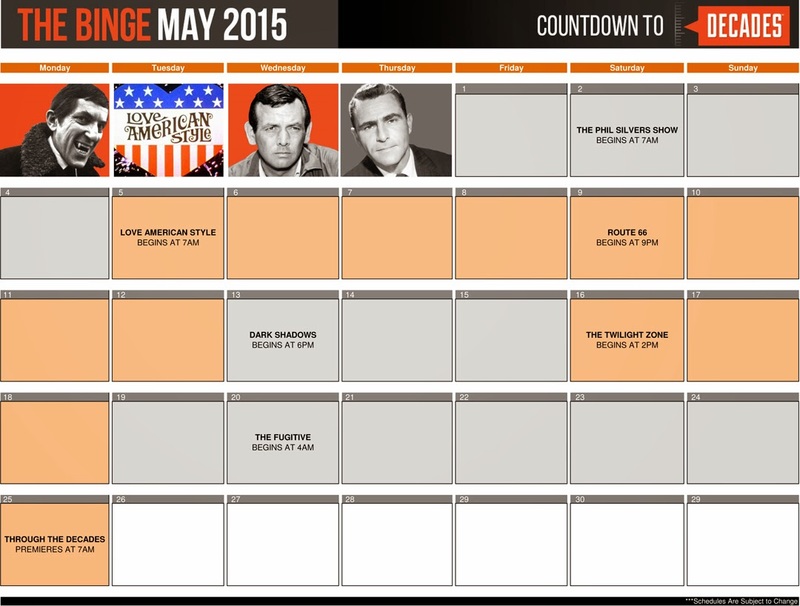 You can see the May schedule for "The Binge" below. Sadly, there are no plans to air DARK SHADOWS on a regular basis once Decades begins in earnest May 25. I suspect this is because Decades is defying traditional broadcast strategies to create "themed" programming on a daily basis. THROUGH THE DECADES, a one-hour daily program hosted by AMERICAN JUSTICE's Bill Kurtis, will highlight daily themes by providing news clips and commentary. I'm expecting Decades to have a fluid schedule that will change regularly to meet the demands of these "themes." Click HERE for a list of stations that are carrying Decades.